I do a lot of web surfing in search of good articles on writing and grammar. I share the best that I find through the WriteAtHome Twitter feed and Facebook page. Occasionally in my searches I come across articles that are poorly written. I don’t normally direct any attention to them, but this morning I stumbled upon one so terrible that I literally laughed out loud as I read it. The irony of a ludicrously bad essay on writing excellent essays is just too amusing to pass up. Help writing an essay is also a demanding exercise that calls for writers to be in appropriate mindsets in the pre-writing and writing processes of the exercise. Writers that seek to achieve the best of results in essay tasks must summon their perceptual, research, and writing faculties in well balanced manner that will incontrovertibly demonstrate the maturity and the coming of age of their research, writing and critical capabilities. Custom Essay Writing demands that the writer be disciplined if he or she has to handle the multi-tasking approaches that characterize the feasible custom essay drafting and compiling strategies. Before delving into the nitty-gritty’s of gathering and putting through formulated and gathered ideas on the essay topic, writers must be sure that they have clearly understood the topic and have sufficiently construed the denotations and connotations of the key terms used in the essay topic of thesis statement. This enables writers to locate essay subject into its appropriate conceptual and philosophical framework. Many writers especially inexperienced students usually falter in the writing of essays due to an abysmal lack of understanding of the defined requirements of the essay task outlined in the thesis statement. Critical terms to watch out for include the imperatives like ‘analyze’, ‘critique’, ‘describe’, ‘discuss’, ‘explore’, etc. 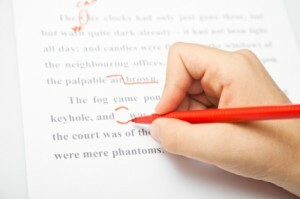 When writers get to understand the actual requirements of the custom essay task, they are empowered to conduct relevant and adequate researches in order to gather all relevant and related facts and opinions that will enable them to present balanced and professionally articulated arguments and standpoints in the custom essay Writing also exerts significant demands on the exploit of a writer’s polished and prolific writing acumen. The manipulation of language in inventive, incisive and non-overbearing parlance comes as the crux of the actual custom essay writing exercise. Writers who fail to pay adequate attention to the aspects of presentation run the risk of letting their research and knowledge substance waste away in the knitting of unprofessional and mediocre write ups. This again must be expected to precipitate failure. [Name withheld] is a professional Educational Consultant and helping the students to accomplish their educational projects essay writing since many years. She got a vast experience in her field and is ready to help students with her skills and knowledge. Students, this is precisely how not to write an essay. I could give you a dozen reasons without much effort, but I hope it’s obvious enough to you. I’d love to hear some comments though. Why exactly is this essay so horrible? *I did a Google search for a random sentence from this article and discovered that it appears in dozens, maybe hundreds of places all over the internet. It is an obvious scam for money. That exact bio is all over the Internet with different names as the author. I am assuming that the major problem with this essay is that English is the author’s second (third? fourth?) language. After this bombardment, I am speechless! I hope that at least this writer has the excuse of not being a native English speaker.